Custom Embroidery Your Logo on Polo, T-Shirts, Hats ! If you need promotional products and you are looking for the Best Embroidery Company, now you are in the right place! Our Embroidery services, Screen printing and Direct to Garment Print are the best, with the latest technology for provide the best quality! Hub92prints, as a custom embroidery company we providing everything you need to promote your business, organization or event. 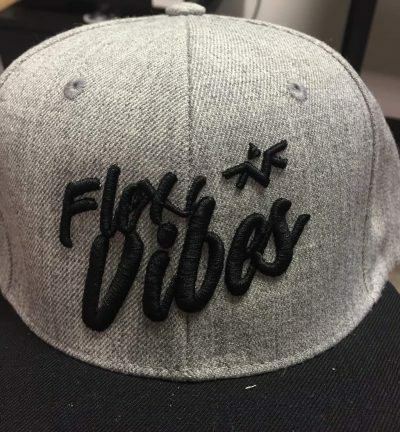 We can add your name, logo or message to any of different Caps, Polo Shirts, Shirts, Hoodies, T-Shirts, Bags, Totes, Hat, Backpacks, Jackets, Aprons, Golf Towels, Lab Coat and Towels. School Uniforms, Sports Uniforms, Corporate Apparel, Medical Scrubs, Promotional Products, Jackets and Coats,Hats and Baseball Caps, Restaurant Uniforms, Bags, Safety Vests, Sales Person Uniforms. 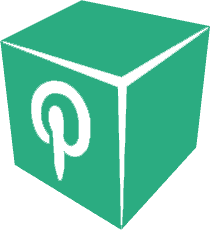 Once you place your order, our team will transform your logo or design into embroidery. 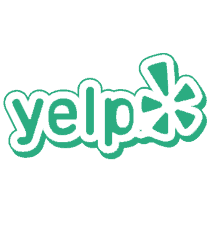 We will send you an online proof to review. Once you approve your proof, your polos/hats or other items will be sewn just 5 business days later. The embroidery process at Hub92prints starts with the design. We have a team of artists that can work with any ideas you have, or an existing logo. The specialist digitize the logo, which is the process of mapping out each and every stitch in the logo . Our embroidery artists load the specific thread colors for your embroidery designs on to our embroidery machines. The embroidery technicians will make sure all of the settings and speeds are correct to give an excellent result for your custom embroidery. 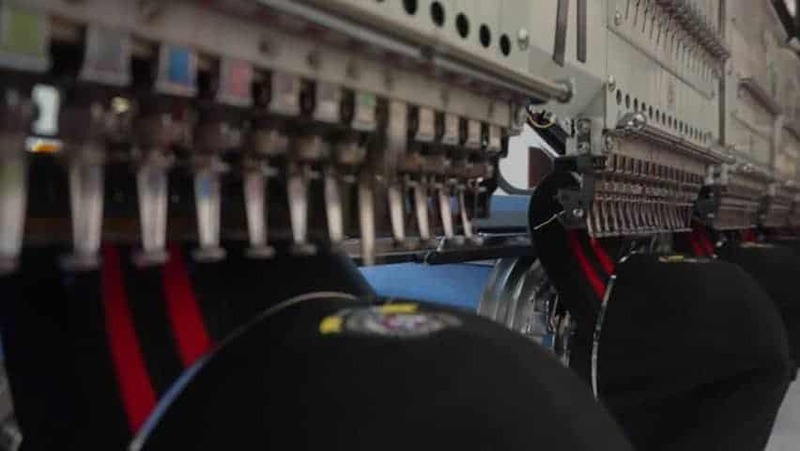 Once the embroidery machines are loaded up with the correct thread colors and design, and the garments are hooped, the actual sewing process can begin. Then, after your garments are embroidered they are unhooked, and sent to our quality control team for review. Our quality control team reviews each shirt individually. They will trim any threads, steam the design if needed so it looks perfect! Then, the order is complete and is moved to our shipping department where it is packaged up and labeled for shipping, or set aside for a pickup if you opted to pickup your order in our Houston showroom. With over 100 different thread color options for your custom embroidered apparel, we will have a color that will work for you! We use only the highest quality embroidery threads to keep the color fastness for hundreds of washes. 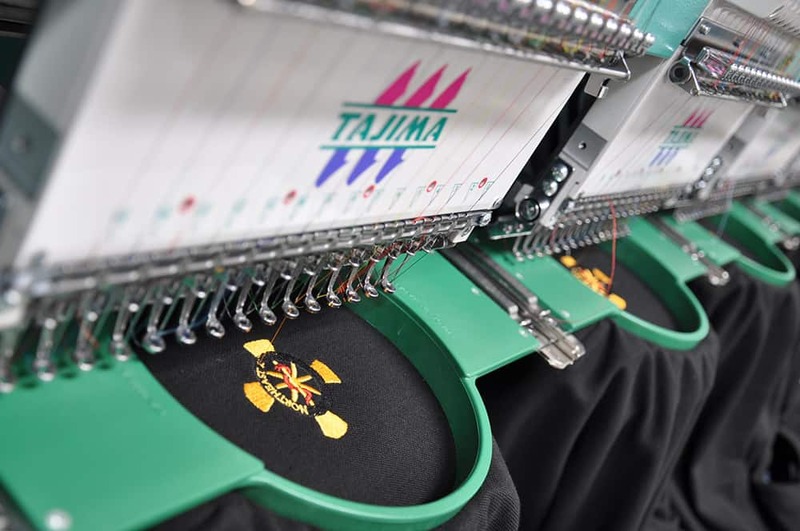 If you want your business apparel personalized and professional touch, contact us , visit our custom embroidery Products Catalog, or start design online now! If you are looking for 3D Puff Embroidery please contact our specialist! We aren’t the only one , but for sure the best custom embroidery in the market!